The Isolight light metering system combines four photopic light sensors, a 100-LED chaser display, a flexible chart holding system, and multiple mounting options. 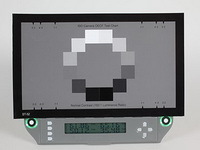 The Isolight can greatly accelerate image quality testing and enhance the quality of your imaging product. Lead time is approximately 3-4 weeks. The heart of each Isolight Color is its four RGB color sensors. 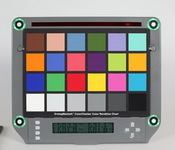 Each sensor is cosine-corrected and closely matches the standard CIEXYZ (human eye) spectral response. 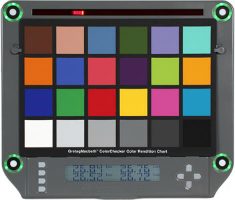 Positioned at each of the test chart four corners, the color sensors measure illumination color, absolute light level, and illumination uniformity. The sensors are always positioned near your test chart, so you never have to try to hold or mount a hand-held light meter in the scene again. 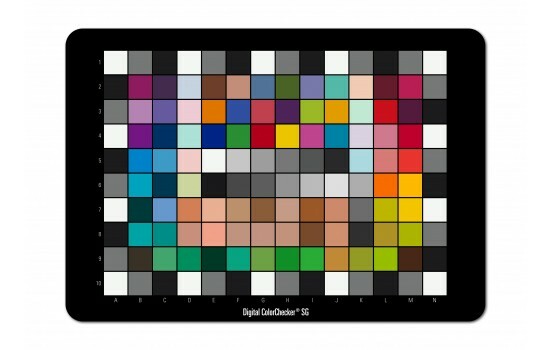 Color is reported as a correlated color temperature (in degrees K) or as Yxycoordinates. 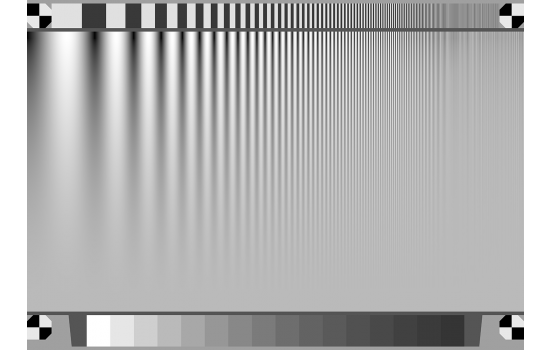 The USB interface also reports color in Yu'v' colorspace. Light level is reported in Lux. 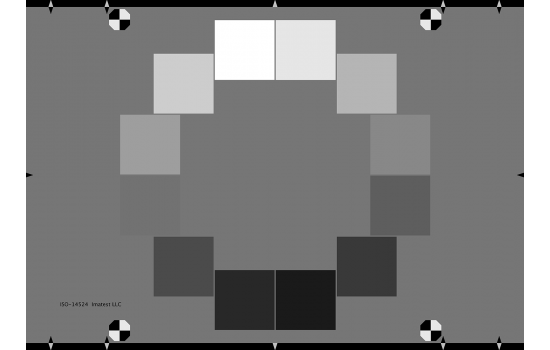 By measuring both color and light level, you will be able to ensure your lighting is the best for your image quality calibration and testing needs. Isolight holds and protects your charts during use and storage. Your test charts are valueable and need to be protected from accidental damage. 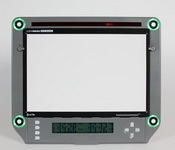 Isolight is designed to hold standard test charts safely and securely. Isolight includes a pair of retractable clips and a lipped shelf to keep charts flat and in place whether Isolight is mounted vertically, on a tripod, or on a table-top. A thumbwheel rotates the clips out of the way for quick chart changes. 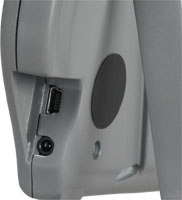 The clips also retract flush into the device surface for use with larger charts. Customers and industry standards specify test light levels. Unfortunately, achieving the right lighting conditions is tricky and tedious. Using handheld light meters is difficult because of the chance of casting shadows and altering the lighting. Mounting a light meter near the test chart is better, but limits you to a reading at a single point - you still don't know the lighting uniformity. Even with multiple meters, measuring flatness and average light level is hard. Isolight solves all the problem entirely. Isolight uses innovative LED indicator rings around each light sensor to show when the light level is too high, too low, or within target levels. Users set their target light level in lux and uniformity in either lux or percent. LEDs can be hard to see in bright light or cause light pollution in very low light. Isolight offers manual brightness control as well as an innovative auto brightness mode. In auto brightness mode, the LED brightness automatically adapts to the current average scene brightness, so that the LED indicators are always visible but not so bright as create light pollution and distort the scene lighting or affect camera performance. Isolight also features audio feedback to indicate when the lighting is correct. When enabled, Isolight plays distinctive tones when all four sensors are within range or when any of the sensors go out of range. While currently unsupported, Imatest will soon support the integration of data gathered from the LED Chaser into it's results. Isolight includes a 100 LED chaser display. Simple in operation, the LED chaser lights each LED in sequence. Each LED stays on for a user-settable time period. 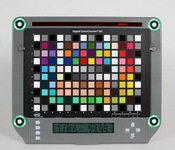 The LED chaser can be used to measure a wide range of time-related imaging parameters. The LED chaser step time is programmable from 0.1ms per step to 1.0 second per step. 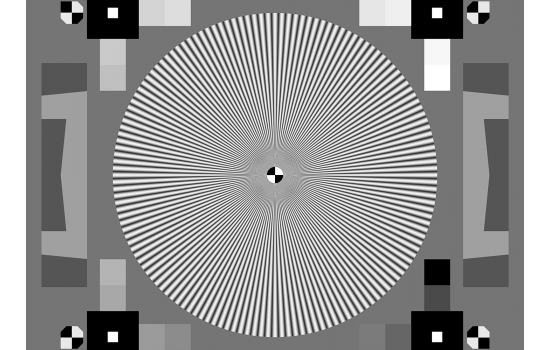 The total display cycle time is from 10.0 ms to 100 seconds. You can easily measure the fastest single frame exposures all the way to minute-long exposures or video clips. Counting a lot of LEDs is tedious. To make the process faster and more accurate, Isolight features an optional LED emphasis mode. The emphasis mode makes every fifth, tenth, or 33rd LED noticeably brighter, so that it stands out. 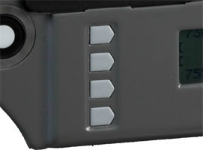 The emphasis LEDs let you quickly count blocks of LEDs the same way tick marks on a ruler make measurements easier. Similar to other Isolight components, the LED chaser LED brightness can be set either manually or automatically adapt to ambient light levels. The "auto" mode adjusts the LED brightness so that the LEDs are clearly visible at any light level but not so bright as to introduce light pollution. Isolight can also generate audio markers (beeps) synchronized with the LED chaser operation. Audio markers can be generated at the start of the line, for every emphasis LED, or for every LED. Exposure Time - the most basic measurement. Set the LED chaser at an appropriate step rate and capture an image. 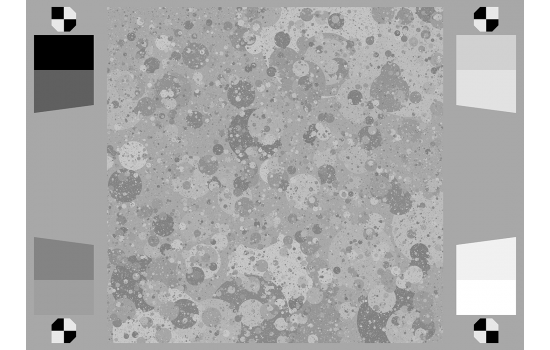 By counting the number of lit LEDs, you can measure the image's exposure time. Auto-Exposure Behavior - Using the auto LED brightness mode, you can watch the exposure time change from frame to frame as you adjust the light level. This is very useful for measuring and auto exposure convergence time, stability, and over/undershoot. 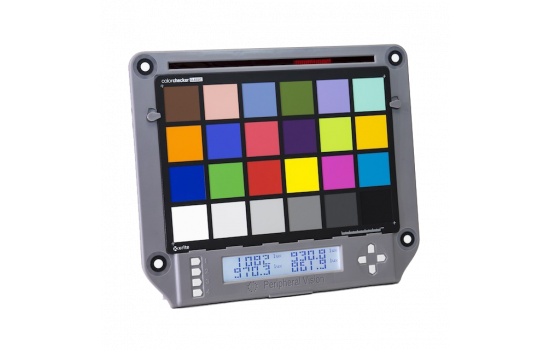 Isolight provides many LCD display modes to show just the information you need. Easily switch display modes with the UP and DOWN keys. Like the LED indicator rings and LED chaser, the LCD backlight brightness can be set manually or used in auto brightness mode. Auto brightness mode uses the ambient light level to adjust the brightness for optimum viewing in very dark or bright conditions. It also ensures the backlight doesn't introduce light pollution by being too bright in low-light conditions. 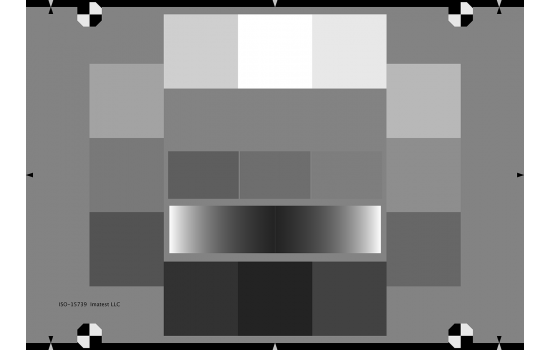 Industry image quality standards and customer specifications usually require image quality testing be done at a few specifc light levels. Isolight includes four programmable preset buttons to easily save and restore the entire device state so that you can quickly switch between lighting conditions and system set-ups. The preset buttons use a simple press/hold interface. To recall a preset, simply briefly press the appropriate button. A short success beep will confirm your request if a preset was saved. If no preset is saved, an "error" tone will play. To save a preset, simply press and hold the appropriate key until a confirmation tone plays. Presets are non-volatile and are saved between power cycles and even if power is completely lost. 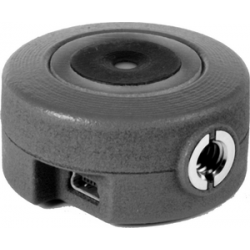 Isolight features a USB interface for remote control and data acquistion. The simple command language provides access to all menu command settings. All light sensor data is available including individual sensor readings, current target value, and min and max tolerance values. Isolight also offers an optional XBee wireless interface. Using the same command language as the USB interface, the wireless interface is easy to set-up and means one less cable to manage whether in a light booth, studio, or in the field. 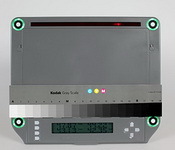 Isolight is ideal for use in production test systems to ensure accurate and repeatable set-ups. Use Isolight to automatically verify lighting is operating and configured correctly. Once your chart is safely mounted in an Isolight light meter, you need a way to support the Isolight. Fortunately, there are many options.